Workflow Portal is used to manage workflows for InterConnect. It must be installed on the same web server as B1WebAPI. This ensures Workflow Portal has file access to B1WebAPI configuration files. Note that because the Workflow Portal is an administrative site, it should not be made accessible to the public internet. Any applications that access InterConnect should be set up on a separate web server from the Workflow Portal and B1WebAPI, as outlined in the diagram below. B1WebAPI and Workflow Portal are installed on the application server, which is configured with the appropriate version of DI-API. 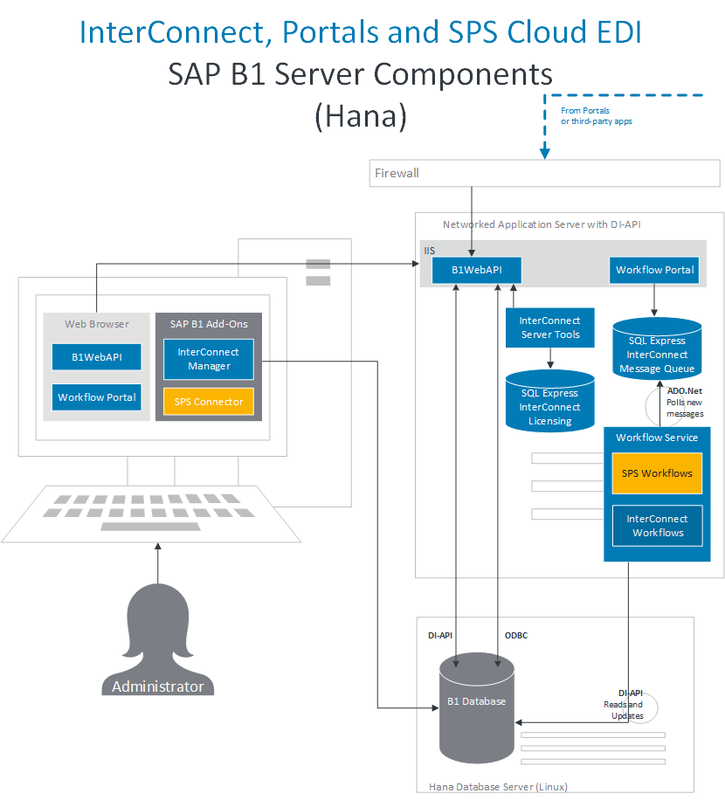 Run the Workflow Portal installer on the SAP Business One server where B1WebAPI is installed. 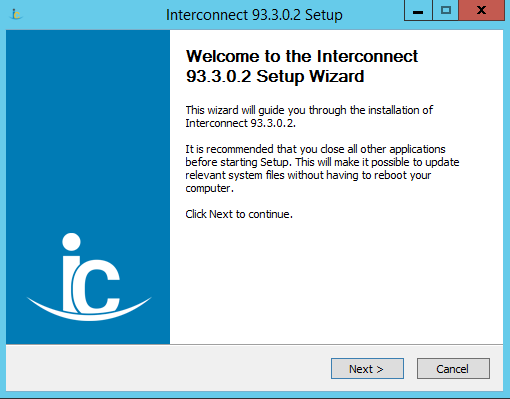 Step through the installer welcome screen and prerequisites as shown below. Press Next on the Workflow Portal installer to proceed. Confirm prerequisites before using the Next button to proceed. zed Workflow will install Workflow Portal web files. Install WorkFlow Service will install the default production-ready workflow service. Select this option for most installations. Install Test WorkFlow Service will install a second test-ready workflow service. Select this option when a second workflow service is needed, such as when installing a test environment on the same system as a production environment. 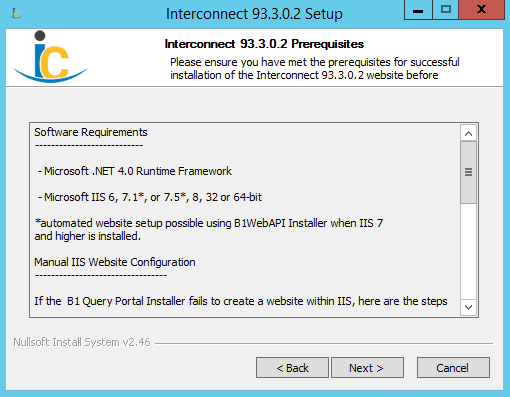 Configure IIS Website will create and configure a web instance within IIS that points to the installed web files. Choose the desired Workflow Portal components and use the Next button to proceed. 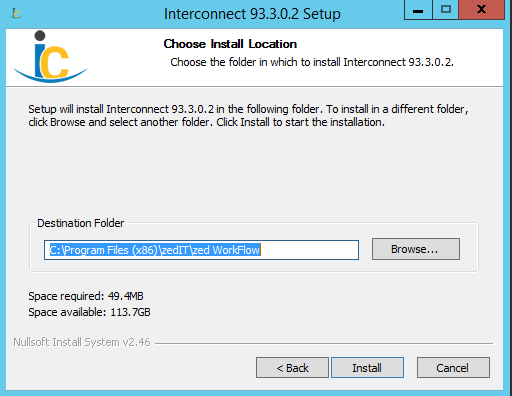 Choose the Install Location for Workflow Portal web files. A separate Portal website installation must be completed for each SAP Business One company. After pressing Install, wait a few minutes while the web files are created. Choose or create a location where Workflow Portal components will be installed. Press the Install button to proceed. Configure Workflow Portal to connect to the previously installed B1WebAPI. Use the … button to open the dialog. 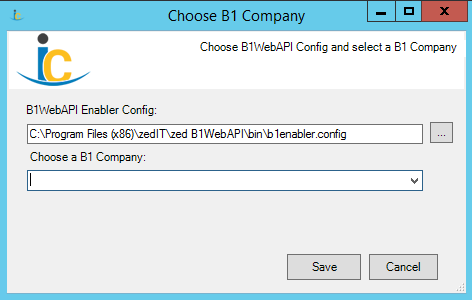 Select the B1WebAPI Enabler Config file. Select the desired B1 Company profile from the drop-down. If you don’t see any companies, make sure to press the … button to select the file manually. This will reload the file and populate the drop-down. Workflow Portal must be configured to connect to a B1WebAPI profile. Load the B1WebAPI config file, then select the desired profile from the drop-down. 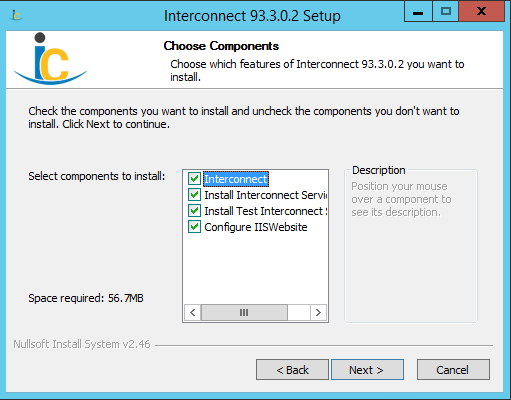 If the option to Configure IIS Website was selected, the following configuration screen will be displayed. Enter all details as described below. For a typical install, ensure “Name” is unique and leave the remaining settings as default, then press okay. Important: Firewall Rules may prevent access to the website. Ensure that the website and firewall rules have been configured so the website is accessible to the target audience. Generate New Website will create a new website within IIS for Workflow Portal. Default settings can be used. Name must be unique, so if multiple installations are needed, make sure all have different names, for example: zed Workflow Prod versus zed Workflow Test. Use Existing Site will associate Workflow Portal with the selected IIS website. 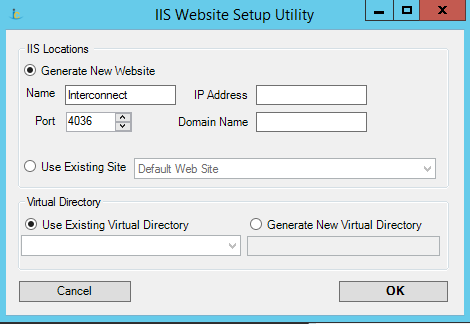 Virtual Directory settings can be configured to use the root existing virtual directory, or to create a virtual directory within the IIS website. The default is to use the existing virtual directory. 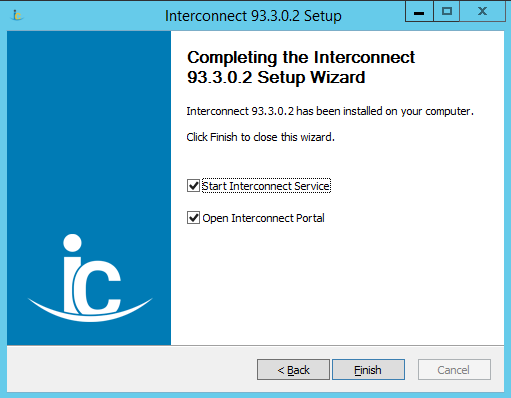 Configure IIS details for the Workflow Portal website. Change the Port if more than one Workflow Portal website is installed. Press OK to create the website. Complete the installation by pressing the Finish button, shown below. A notice will be displayed. Press Okay to proceed. Confirm that the Workflow Portal website has been successfully installed by opening the website. Workflow Portal landing page will be displayed if the website has been successfully installed. 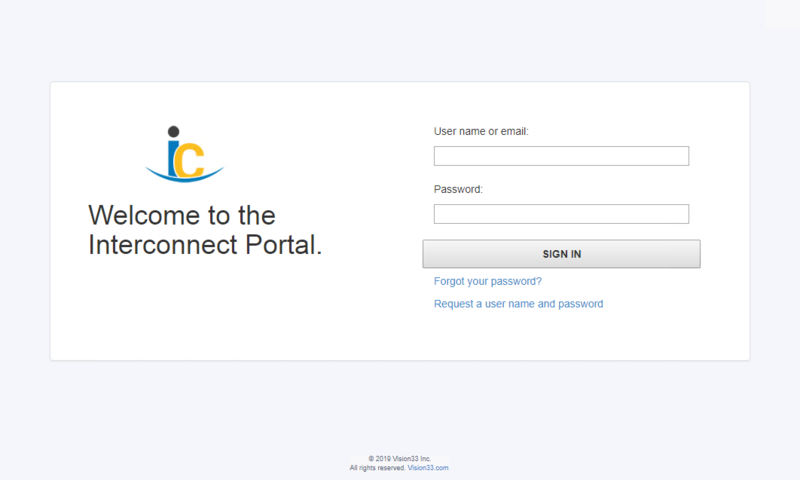 Once Workflow Portal is installed and Logging has been configured, the system is ready for a custom integration. See the InterConnect Reference Guide for more information about custom Workflows and REST-API data access.